UNDATED - In February, the U.S. Department of Agriculture's National Agricultural Statistics Service began contacting South Dakota farmers and ranchers to gather land rental rate information. The results of the Cash Rents and Leases survey will serve as a valuable decisionmaking tool for farmers and ranchers. Additionally, the results will be used to help establish government payment rates for CRP and other Federal programs. "This brief survey is our best source of county cash rental rates," said NASS' South Dakota State Statistician Erik Gerlach. 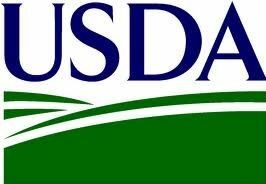 "By responding, producers help ensure USDA publishes the most accurate data possible." NASS will release State level cash rental rates on August 3, 2017. County level rates for non-irrigated cropland, irrigated cropland, and pastureland will be published on September 8, 2017. More than 7,700 South Dakota farmers received the survey forms. In addition, NASS offers the option of responding online via a secure internet connection. In April, NASS representatives will begin calling and visiting land operators who have not yet responded. "NASS will summarize producer responses, providing estimates of average rent and lease rates at the State and County levels," Gerlach added. For more information about NASS' Cash Rents and Leases program, call our Northern Plains Regional Field Office at 800-582-6443.